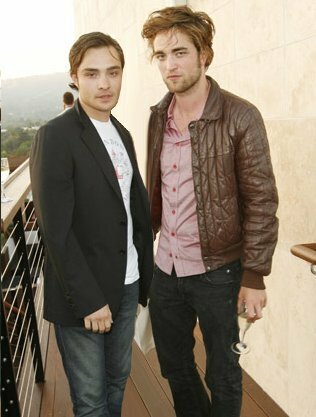 Edward Cullen & Chuck bass, besi. :). Wallpaper and background images in the Mafuatano ya Twilight club tagged: twilight movie edward cullen robert pattinson 2008 gossip girl tv show chuck bass ed westwick.